"Melissa helped me sell an investment property. She came to our first meeting enthusiastic and well prepared, and every interaction I had with her after that was the same. She proposed an efficient sale process, arranged for the staging and photographs, gave me good and thoughtfully critical advice on finishing the condo The sale went very well–she brought in 5 offers, all way above asking price. I can’t wait to work with her again." "Melissa and team were effective and they helped us find a tenant in record time. Our apartment was left void for a few months and we had problems trying to get it rented out before engaging her." "Melissa was a dream partner in the home buying/selling process. Melissa went above and beyond for us during every step of the way. She made herself and her team available at all times to answer our questions and help us make decisions. Her response time is impeccable. She gave us great advice, helped us negotiate a fair purchase price, and she sold our apartment within 2 weeks of being on the market. She gave us great suggestions to help us sell our home. She is personable, realistic, and an excellent realtor/businesswoman. I would never choose anyone else as my realtor on the buy and sell side. Additionally, Melissa's team members Kassandra and Robert were equally as lovely to work with. This anxiety inducing process was made less stressful because of Melissa's hard work and reassurance. Thanks Melissa, you are the best!" "Melissa has been our realtor the entire time we have resided in Chicago. She did an amazing job helping us find our first home in an area we loved, showing us numerous houses over a year and half. Her patience and knowledge of multiple different areas, from down town living to the northern parts of the city, were invaluable. We were extremely happy in our East Lakeview home, before life happened and we needed to do a quick relocation out of state. In a tough market Melissa was there for us the whole time, listened to our concerns and was willing to do anything to get our home sold within a tough time frame. She is one of the sweetest and nicest people we know in Chicago, and it was tough to leave her behind for a new city. My wife and I both fully recommend Melissa to anyone looking to buy or sell a home in and around the Chicago area!" "As first time buyers, we had very little knowledge about the complicated purchasing process and from the get-go Melissa made it a point to answer any questions and explain it to us step by step. She really got to know us and made it a point to understand what we were looking for. Melissa provided guidance throughout the process but also was extremely patience and never pushed us to go out of our comfort zone. Most importantly, we felt that she had our back and in doing so she helped us lock down a beautiful condo that we love and at the right price! Melissa was a lot of fun to work and excited to do it again sometime!" "Melissa was great to work with from start to finish, and was a part of the process the whole way. Her team was fantastic and is a representation of her dedication to providing world class service. She has a network around her of people that were able to help in different parts of the buying cycle who were all extremely professional and all went above and beyond for us. I highly recommend her!" "We are new to the Chicago area and needed experienced guidance in the local market. We are very pleased with the assistance and responsiveness of Melissa’s team. We love our new condo and excited to enjoy the many sites of Chicago." "Melissa was fantastic to work with on our recent condo purchase! We looked for over a year to find the perfect home, and Melissa was by our side through the entire process, regardless of how long it took! Once we finally found the place we wanted to buy, she was great with providing information and guidance around the terms of the deal, process to close, etc. We had a particularly bad realtor on the other side who continued to give us false information, and Melissa made sure to do her research to ensure we knew exactly what was true and what wasn't. Overall, we couldn't be happier having used Melissa, and we will certainly use her in the future as well!!!" "Working with Melissa is like working with family. She knows to show you exactly want you want and works tirelessly to find you your dream home. She is super responsive, so you always feel like you are her only client. She has handled multiple properties for my family and I and I will continue to always look to work with her for future purchases." "Our family has now used Melissa as our agent for 2 condo purchases. I wouldn't even think of using anyone else for a future purchase or sale. Melissa has all the right qualifications: she's bright, attentive, knowledgable, honest, and out to service her customer. We have been so happy with the properties she got us into. She make it a point to zero in on what you're looking for, and sets that as her goal (as opposed to just wanting to make a quick sale). I can say without hesitation that she's the go-to person whether you're looking to buy or sell." "Melissa and her team are a pleasure to work with! As first time home buyers, we were naive about the process of purchasing a home. Melissa's guidance helped us see each property with a fresh perspective. Melissa helped us narrow down what was most important to us in a new home. Ryan helped with setting up and taking us to see the properties we were interested in. He was also great to work with - offered helpful insight as we toured each property. We didn't expect to have our offer accepted on the first property we loved, but Melissa and her team ensured we saw the property same day it was listed and our offer was accepted that evening! We know that we were able to get our dream home because of Melissa's expertise and negotiating skills." "Selling my River North condo with the support of Melissa Siegel and her colleagues was an exemplary experience. Every aspect of the sale-- listing, pricing, advertising, securing interested buyers and ultimately engaging the new owner -- was handled professionally and efficiently. I highly recommend Melissa to anyone interested in buying or selling a property-she is phenomenal." "We have multiple properties in the Chicagoland area and have dealt over the years with many realtors. Melissa is the best agent we have worked with. She knows her stuff and is not shy about steering us away from an average deal to hold out for a better opportunity. Melissa is quick to respond to every email and phone call. We never felt rushed or unclear about any issue in the purchase or negotiation process. Even after our closing Melissa has continued to help us with resources and ideas. Melissa and her team are efficient, courteous, and smart! Thanks you Mellissa." "We had a great experience with Melissa! She knows River North and has kept us in loop on what's happening in the market since we expressed interest in selling about 2 years ago. She is extremely knowledgeable and up front about pricing your property competitively and keeping everyone in the loop on the transaction. She and her team are straight shooters and always a step ahead. We would highly recommend Melissa and her @properties team and will most definitely use them again!" "It was a really a pleasant experience working with Melissa and her team. They make selling my Condo unit so easy. My unit was sold within 7 days it was listed. What a professional team she has." "I sold my condo with Melissa about a month or so ago. My husband and I were also buying a new home out of state and expecting a baby in a month. Melissa worked quickly with her team to get my condo up on the MLS and sold all within 7 days. This was extremely important because of our move and baby. Melissa and her team were very professional and we appreciated the quick turnaround. I would highly recommend Melissa to my friends who are looking to buy or sell in Chicago." "Melissa gets it done! We have purchased two properties and sold one with Melissa and her @properties team over the last few years. She knows the market and is an aggressive agent for her clients! I highly recommend her." "I really enjoyed working with Melissa, she made my first home buying experience easy, and helped me find my dream property. I appreciated how accessible she was throughout the process, and I would definitely recommend Melissa to my friends and family." ""Working with Melissa and her team was like a dream come true, we are new to Chicago and as such were not familiar with the buying process in the city. Melissa and her team made the process very easy, as the buyer's agent she proved to be be very knowledgeable about the River North area, she identified properties that met our criteria and exceed our expectations. Once we identified the condo we were going to purchase Melissa kicked it into another gear, she was with us through the entire negotiations and went above and beyond with comp research and price guidance. The process was very seamless with her by our side, we would not have gotten this house if she wasn't guiding us and working with the seller's agent."" "Melissa and her team (Ryan) helped me find my first condo. They were very responsive to my questions and helped me navigate the whole condo buying process seamlessly from scheduling home inspection to getting home financing and closing." "Just sold my condo with Melissa and would highly recommend. She and her team were very professional and had multiple offers above asking within a week of listing my property. Melissa is communicative, straightforward, and did an excellent job handling my sale, especially as I had already moved out of state. I'll be recommending Melissa to all my friends and family looking to buy or sell"
"Melissa is knowledgeable and works hard on behalf of her clients. She is pleasant to deal with and extends into multiple areas. We sold one property through her and I hope to use her again. She is patient, even with the most difficult of clients!" "Melissa is the best! She found us an amazing new construction home before it even went on the market! We spent months searching for the perfect home and Melissa continued to be patient with us and even told us not to buy a few places because she didn't think it was a good investment. We absolutely love our new home, thank you to Melissa Siegal and her fantastic team." "Melissa Siegel represented the sale of our unit and represented us on the purchase of our new home. We can't highly recommend anyone else based on our experience as she is one of the top @Properties agents in Chicago and it shows. I believe you will be in very good hands with Melissa and you will certainly enjoy the support and experience you will receive from her and her team. Melissa was responsive, on top of things, and provided us valuable insights and suggestions as we sold our home and during our search and purchase of our new home." "Melissa did a great job for us and I highly recommend her. She knows the market extremely well, selected great places to view and excelled in the price negotiation. She was very responsive to our needs and didn't waste any of our time. We had a great experience working with her." "Melissa is a rockstar. We sold our place in less than 48 hours because she had prospective buyers lined up when we were ready. She also helped us negotiate on our next dream home. She also put together a trusted network - good attorney, broker, inspector. We couldn't have done it all without her!" "We interviewed several agents for this listing. We selected Melissa due to her track record, "can-do" attitude and because she is very responsive and quick to make a plan if needed. Melissa sold our condo within 2 weeks of listing and negotiated a fair outcome for us. We woudl definitely recommend Melissa for selling a home and would certainly use her services again should the need arise." "We feel very lucky to have worked with Melissa for our first home buyer experience; she's clearly the best for a reason - she walked us through the process step by step, from search, to negotiation, to closing. Our home buying process was a bit unusual - we approached her on a Sunday about the possibility of purchasing a home next year, by Tuesday we decided not to renew our lease, and by Thursday we had put an offer down on a new development condo. But despite our last minute and rushed process, she handled everything like the professional that she is. Melissa listened to everything that we had to say with patience, always gave her honest opinion, but was never pushy. As first-time buyers on a tight deadline, we were anxious about everything and contacted Melissa constantly. No matter the day or the time of night, Melissa was responsive via text, call, email, etc. She even took the time to look through lighting fixtures as we brooded over which to purchase. Because our search process was so quick and unexpected, securing a loan took longer than we planned and our closing date was pushed back several times. Our mortgage lender failed to explain some of the details of the mortgage process, so we made mistakes that complicated our closing. For example - transferring funds between accounts at the same financial institution in order to pay earnest checks. Fortunately, Melissa tried to help in whatever way she could, and the attorneys that she recommended were great advocates. In the end, it all worked out and we're thrilled to have a home to call our own! Because our closing was delayed, Melissa out of the country on our actual closing day. But even while on vacation, she was still available via text and email, and she made sure that her assistant helped us with everything that we needed. As strange as it may sound, we wish the process to find the condo had taken longer so that we could have worked with Melissa longer!" "My husband and I worked with Melissa on the sale of a condo and the purchase of a new home. After both experiences, we would strongly recommend Melissa's services to anyone looking to buy or sell a home. Melissa knows the Chicago market and she knows what to look for in a new home. She is honest and protects her clients. She looks for both the good and the bad in each place, helps her clients understand what they are buying (or selling) and helps them navigate negotiations. We never felt like Melissa was pushing for a transaction to take place, but rather for us to be happy with the end result. Further, Melissa is professional, responsive and is someone who understands the value of her clients. We continue to recommend Melissa to our friends in the market." "Melissa and her team rocks. Period!" "Melissa and her team were amazing to work with! She was reliable and always there to answer any questions we had. We would definitely recommend using her to anyone looking for a new place or to sell." "Our experience was very positive. The team effort was wonderful, in particular we appreciated Robert’s frequent updates and check-ins. We were very pleased with the process from listing to closing and highly recommend Melissa and her team." "Melissa was amazing to work with. Within weeks we were able to have our condo sold with Melissa, an experience we did not have with another realtor. I would recommend Melissa to all of my family and friends and know she will get the job done better than anyone else! Extremely professional, honest and cares about her clients. Thank you Melissa!" "Melissa was a fantastic partner to work with throughout our home sale/home purchase process. She was not only knowledgeable of the market and the type of price that would drive interest while maximizing value in the home we were selling, but was also very willing to be patient and show us numerous homes until we found one that met our requirements. I would highly recommend!" "Melissa and her team are the best in town, hands down. They were on top of every step of the process. The knowledge, organization and skills (!) used to help me buy AND sell was phenomenal. And they kept the emotional aspect of the process in check for me too. THE...BEST!" "Melissa recently sold my home and it was listed and sold in three weeks. She and her staff ensured that the process was extremely efficient, organized and really made it easy for the seller. After posting the listing on multiple media platforms my home had over 30 showings With each showing her and her staff never missed a beat and provided immediate feedback after each showing. I would definitely recommend Melissa." "We cannot say enough positive things about our experience with Melissa and her team. From our initial meeting to discuss the market through listing our place and closing, everything was as smooth as we could have hoped for. We decided to work with Melissa because we knew she would deliver and she did just that and beyond. Selling your home is a stressful and emotional task yet if you are working with the right team it should equally as exciting. We recommend Melissa and her team to anyone who is looking for a smooth, efficient and successful experience. Thank you again for helping our family take the next step!" "We loved working with Melissa - she showed us exactly what we were looking for and gave us the insight on properties that we were interested in. Would highly recommend her!" "Could not be more happy that we chose Melissa to sell out house. She was incredible throughout the process and had an incredible team working for her. Best photographer, best marketing, best network and unreal reach. Would use her over and over and over again. Sold our house in less than a week after we told her we were interested... and did it without even listing it officially"
"I worked with Melissa to buy my River North condo. She was extremely informed about the market inventory, building(s) reputation and assessed what was a good fit for me based on my criteria. She always made me a priority and guided me throughout the process (never being pushy). I am absolutely in love with my home & truly feel that I got exactly what I wanted (maybe even better)! I highly recommend Melissa for anyone who is on the market to buy or sell a home. Melissa is truly an expert who is knowledgeable, patient, professional and personable." "Being new to Chicago I didn't have a real estate agent in advance. I was fortunate to be put in touch with Melissa and I couldn't have been more happy with the result! Melissa's knowledge of the local market is second to none. I highly recommend her for your real estate needs!" "I was a first time home buyer and Melissa and her team were fantastic to work with! Melissa made the navigating the entire process smooth, easy and fun. She has incredible knowledge of the city and neighborhoods and really listened to all my needs/wants to help me find the perfect condo. I truly can't say enough great things about Melissa and her team!" "Melissa is simply the best of the best and an asset to have on your team when you are buying or selling a home. She worked hard and tenaciously to find a buyer for our house. From a communication stand point, I was able to get a hold of her at any time of the day or night...this is key when selecting an agent. Lastly, she always made sure I was comfortable with every decision and weighed out the pros and cons in every situation. She is very smart, knowledgeable, insightful, friendly and caring. Couldn't speak more highly of her! "Melissa was very easy to work with. She was honest and straight forward up front, which I appreciate. She got an understanding of our likes/dislikes so that when we viewed homes, we didn’t waste any time. We ended up buying our condo after one day of viewing, but we never felt pressured to make a decision. She made it clear that it was a big decision and she would support it regardless. She is able to foresee places that you will get a return on investment and was able to negotiate the lowest price in the building. I would highly recommend Melissa." "I’ve known Melissa for a few years as an active realtor within my condo building and within the surrounding Chicagoland area. She has shown me several properties as well as has given me a market evaluation for my condo. I found her to be honest, forthright and professional in her position. Her reputation in the real estate market is stellar." "Melissa did an amazing job with listing and selling our home. She is very knowledgable about all things real-estate, and had our home listed and sold as pain-free as possible. I'd highly recommend Melissa." "Melissa Siegal is Chicago's preeminent real estate broker whether you are buying or selling. Her team's knowledge of the Chicago real estate market along with their professionalism and drive are unrivalled. I chose Melissa to list my condo based on her unmatchable knowledge of the Chicago real estate market and specifically the high rise that I lived in. Melissa provided great advice for both pricing my condo and preparing it for showing, and her marketing team prepared top notch collateral including professional photographs and description of my condo. I greatly appreciated the frequent communication and updates from Melissa's team throughout the process and making the selling process stress free. Most of all, I greatly appreciate that through the hard work and dedication of Melissa and her team, my condo sold in less than three weeks." "My wife and I have known Melissa for almost two years now, because that is how long are home search took. She was with us through the acquisition of two different dogs, nearly one baby and two separate rentals while we searched through Chicago. With that in mind it is fair to say we know her fairly well professionally. In that time Melissa was constantly available to us in our seemingly never ending home search. She was essentially our personal driver and real estate adviser while we looked at likely 30 to 40 homes throughout River North, Lincoln Park, West Lake View, City Center, Roscoe Village, Bucktown/Wicker Park, and East Lake View. The entire time she was fantastic and honest with us about the homes we saw. She tried very hard to understand our preferences and give us honest opinions on homes we were seeing, which is difficult as we had very specific tastes. She was always available to us, even when she was out of the country. When our first purchase fell through due to inspection disagreements she was extremely supportive and even sent us an edible arrangement to keep our spirits up. When we finally found the home we loved she went to bat in the negotiation process and really helped us get the deal we wanted. If you are looking for a home or apartment in the downtown area, particularly in River North, we would highly recommend Melissa." "Melissa is a true professional! Her excellent knowledge of the Chicago real estate market, combined with great attention to detail and the ability to understand her clients are just a few things that put her above the rest in this business. She listened very carefully to what our requirements were and was able to zero in on a handful of properties exactly matching our style and living needs. This allowed us not to waste time on useless appointments looking at properties unsuitable to us. After the we were able to close on our dream apartment, once again, Melissa went above and beyond what was asked of her, providing us with a number of local contractors to help us with some of the renovations. The entire process went very smoothly and we can't say enough good things about Melissa. It's no wonder she is one of the top real estate brokers in the city. Well deserved! If you want a hussle free transaction, give Melissa a call." "Our experience with Melissa and her team was wonderful! They did a great job in the advertising and marketing of our home and keeping us up-to-date on all activity. I would absolutely highly recommend Melissa to anyone looking to buy a home or looking to sell their home!" "Melissa and her team were great! She got us the apartment with ease even tho the other agent had multiple other applications. Love working with her! She has great taste and always guides me towards the right decision." "Melissa is the consummate professional. She actually made my buying experience a very pleasant one. She was very attentive to my needs and her dedication to the task at hand was exemplary. shout out to her assistants, you guys are great. Melissa was recommended to me by a friend of mine and I would definitely recommend her to another friend." "Melissa and her team did an exceptional job in selling our property. They were very helpful in every step of the selling process and were able to sell our property quickly and for a great price. They were very responsive throughout the process and gladly answered any questions we had. We truly appreciate everything Melissa and her team did for us and will definitely us them again in the future." "Amazing experience - Melissa and her team were great to deal with, we had multiple offers above asking price in the first week we listed, and they made it so easy to close since I had already moved out of state. Very happy and would strongly recommend"
"On every occasion Melissa went above and beyond and do an excellent job! Best Home Buying experience ever. She will do a great job for you!" "Melissa did a great job for us. She is very professional, knows the business thoroughly and really excelled in the price negotiation. I highly recommend Melissa for any real estate requirements." "Melissa was great to work with and very accommodating to our hectic schedules, meeting us late after work or first thing Saturday mornings to show us properties. When we finally found a place and had an offer accepted, she was very helpful, especially since this was our first time as home buyers. She was persistent in working with the seller's agent to get our questions answered and when the lender messed up, she stayed on top of them to correct the situation so that we could close on time. Melissa continues to be a valuable partner post-close and we would highly recommend her to friends and family." "In a very crowded rental market, Melissa's team was able to get 5 offers on our rental property and help us secure a qualified tenant above our asking price. Fantastic Job!" "Melissa and her team are true professionals and make this an easy and enjoyable experience!" "Melissa and Kassandra were an absolute pleasure to work with. They couldn’t have been more thorough & on top of it every step of the way. Can’t recommend working with them enough!" "We worked with Melissa and her team to find our first condo in the city. Melissa was really great to work with throughout the whole process but especially during negotiation with the sellers. She comes with a lot of knowledge and experience and tells you exactly what is what. She kept us updated on every detail that we needed to know and made this whole process so much easier than what we originally thought it would be. I know when we do our next sell/buy we'll be going back to Melissa." "My husband & I were first time home buyers & Melissa made this process to easy & smooth! She knows the city well & was able to find our condo quickly which checked all of our needs & wants! Melissa was so great to work with, we would highly recommend if you are looking to buy or sell!" "When my wife and I were ready to become serious about moving into a larger place, she reached out to Melissa to obtain a consultation. Not only did Melissa come over with a positive attitude and strong examples of her past work, she also listened to our goals and made it a point to support us. Melissa gave us some homework and encouraged us to get out into the market and look at a few open houses. From there we were able to tell her what works and doesn't work for us. Ultimately, we ended up finding a home that fit the exact bill for what we were seeking. She fought hard for us and guided us through the process to obtain it. Furthermore, she helped us prepare the sale of our condo which then sold in the blink of an eye at over asking price. I cannot stress enough how professional Melissa and her team were. They communicated thoroughly and gave us confidence in their work. We will certainly partner up with Melissa and her team on our next purchase." "Mellissa and her team are very professional and service oriented. It was a pleasure doing business with her and we were extremely happy with the outcome"
"Living out of state. To sell our property was going to require an agent that would definitely be on top of their game, be an expert in the area and having our best interest at heart. After speaking with Melissa, I knew that I was in expert hands. She was extremely knowledgable of the area that my property was located in, along with the current state of the market plus she was extremely personable. Melissa and her team listed my property and within two days I had an offer.....a few dollars short of list price. OUTSTANDING performance by everyone that was involved with the sale of my property. I would highly recommend Melissa to anyone who needs an expert, buying or selling. Thanks Melissa"
"After reading many profiles of realtors online, Melissa Siegal initially stood out because her profile stated that she was a dog owner and I was hoping that she would understand the importance of finding a condo where my dog and I would both be happy. In meeting with Melissa for the first time, I remember her saying that she could already tell what I would like, and I genuinely felt that this was true. She made recommendations for a mortgage lender (Justin Lopatin) and a real estate attorney (Kelli Fogarty), both of which were also fantastic. Melissa calmed my first time home buying jitters, which made me extremely glad that I had chosen to work with her for a seemingly silly reason. I was very eager to find a condo, and once the right unit became available, Melissa was able advise me on how best to navigate the multiple offer situation that had presented itself, always keeping me updated in the process. From the time my first offer was made until the time I closed on my condo, Melissa and her assistant, Jessica Dekruiff, worked diligently to ensure that the condo buying experience went as smoothly as possible. Melissa and Jessica were so responsive and on top of things that I found my questions being answered before I could even ask them. I could not have been more confident in my team. Although I do not anticipate buying another property for a while, I would undoubtedly work with Melissa again and would recommend her to my family, friends, and colleagues." "Melissa has helped me rent and recently buy a condo in River North. Melissa and Jessica were extremely helpful throughout the entire process. As a first time home buyer there were many nuances which I was unaware of which she quickly and effectively made me aware of and understand. Her knowledge of the overall market, prices, and areas was top notch. Personally, I do not like to waste time over minor details and prefer to get straight to the point / numbers. Melissa understood my views on buying a home and was very efficient when presenting potential opportunities. Overall, Melissa and her team did a fantastic job and would recommend her to anyone whether renting or buying." "It was great to work with Melissa. She answered my questions within the day and kept me updated through the whole process. I highly recommend using her services." "As a first time home buyer, Melissa was so helpful throughout the entire process! She understood exactly what we were looking for and it didn't take us too many showings for us to find our perfect place! I would highly recommend Melissa!" "Melissa and her team were extremely helpful in selling our house. They paid extreme attention to detail all the way throughout the process. Selling a house is always stressful and there are lots of issues to attend to, but Melissa's team was always available and able to advise us and to answer questions"
"As a first time home buyer, Melissa was fantastic in helping me wrap my mind around the home buying process and, in so doing, finding my dream home! I would definitely recommend Melissa to my friends and family." "We worked with Melissa for quite a while to find the right combination of location, space and price. She was very helpful and supportive in helping us work through neighborhoods and options. She was also patient with our process which was a real plus. Melissa is on her game at all times and a real pleasure to work with. Her knowledge of Chicago is impressive and she clearly devotes a lot of time to her professional development." "The very best there is, I have bought homes all over the United States, Melissa by far is the very best agent I have used. Our search was very complcated and time consuming. We viewed over 50 homes in over 15 different communities. We we went from large homes to high rise condos, Mellissa showed us every property during a 13 month search new, remodel and redo's She wanted us to understand the market and wanted to be sure we made the right choice for the short term and always advised us on thinking about the long term objectives. We settled on brand new construction in small high end building in River North. Mellissa even arranged our temporary living quarters during the construction- Highly recomended. Always on time and never wastes your time always prepared." "Melissa and her team were absolutely wonderful. We will definitely be using them again in the future, as well as highly recommend her to anyone looking for a realtor. They were able to get us showings last minute, and were very helpful throughout the whole process." "Melissa was great in helping me find a buyer for our condo downtown! She was attentive and responsive and we completed the transaction much faster than expected. I would definitely recommend her!" "I definitely enjoyed my time working with Melissa. She is a very knowledgeable, and extremely hard working, individual. She was always on top of my situation, even when she was out of the country for a wedding. I truly appreciate her approach to real estate, as it made me extremely comfortable with the process of purchasing my first home. Never pushy or "sales-y", always thinking and sharing her thoughts. Melissa was there to ask the questions I wanted to ask, and those that I didn't know to ask. I would use Melissa again, and recommend to all." "Melissa found our current home for us, and she's sold two of our other units. In all three cases, we were really impressed with her knowledge of the market, her understanding of Chicago neighborhoods, timeliness, follow up, and negotiation skills. During our most recent home search, she also provided an honest and thoughtful assessment of each option to help guide our decision. We will absolutely work with Melissa again in the future, and we would definitely recommend her." "Melissa was a fantastic Realtor to work with. She assisted me in the buying and selling of my first condo in Chicago and was extremely profession and responsive during both of those transactions. I'd recommend her to any of my friends looking to buy or sell in the city." "Melissa helped us to sell our condo. She provided as with the best service ever! She is always available, very fast and clear. We could never thank her enough!!!" "Our family has purchased and sold over 30 properties over time. Melissa Siegal and her colleagues are by far the most professional, knowledgeable and efficient real estate team we have ever worked with. The impressive marketing materials Melissa created were extremely beautiful and captured the essence of the property perfectly. A team representative was present at each showing and the property sold within a week of listing. Closing was effortless. We highly recommend Melissa and would not hesitate providing more in-depth information upon request." "Melissa was SO fantastic! Savvy, professional, charismatic and kind. She gave superb, expert advice and facilitated our property selling quicker than we could've asked for, for a price that was more than we'd hoped, couldn't ask for much more than that :). Truly an expert in the Chicago market, will definitely be utilizing her for many years to come!" "I was a first time home buyer and Melissa and her team were fantastic to work with! Melissa made the navigating the process smooth, easy and fun. She has incredible knowledge of the city and neighborhoods and really listened to all my needs/wants to help me find the perfect condo. I can't say enough great things about Melissa and her team!" "Aggressive, great communication, and strong team. Very pleased." ""Melissa and her team are fantastic! They were in constant communication with us every step of the way. When it comes to The Silver Tower, The Melissa Siegal Group is the only choice. " Jeanne (14th Floor)"
"We were very pleased the service melissa had provided us. She is excellent broker." "Melissa and her team are very professional and engaged." "The best!! Transaction was seamless." "The best broker I have worked with. Objective opinions. Ton of hustle. And great with people." "Melissa and her team were outstanding. We were relocating to the area and she not only found us the perfect home but also was very helpful in referring us to other service providers to assist. We definitely recommend Melissa and would welcome the opportunity to work with her again." "Melissa is a rockstar. We sold our place in less than 48 hours because she had prospective buyers lined up when we were ready. She also helped us negotiate on our next dream home. She also put together a trusted network - good attorney, broker, inspector. We couldn’t have done it all without her!" "Melissa is very straight forward an honest. She does not push and patiently sought the right property for us." "We have invested in multiple properties in the Chicago area and have dealt with many realtors. Melissa is the best agent we have ever worked with. After we had explained the specifics of our property search she came through for us from beginning to end. She had even steered us away from deals early on encouraging us to hold on for a better opportunity. Melissa was tireless in getting us the right deal. She responded quickly to every call and email. Even after the closing she continues to follow up with resources for us. This agent knows her stuff and we will be working with her on our next project for sure. Even as she becomes more and more successful I have no doubt that Melissa and Robert will continue to give us top notch service and advice." "Melissa Siegal is Chicago's preeminent real estate broker whether you are buying or selling. Her team's knowledge of the Chicago real estate market along with their professionalism and drive are unrivalled. I chose Melissa to list my condo based on her unmatchable knowledge of the Chicago real estate market and specifically the high rise that I lived in. Melissa provided great advice for both pricing my condo and preparing it for showing, and her marketing team prepared top notch collateral including professional photographs and description of my condo. I greatly appreciated the frequent communication and updates from Melissa's team throughout the process and making the selling process stress free. Most of all, I greatly appreciate that through the hard work and dedication of Melissa and her team, my condo sold in less than three weeks." "This was my first experience selling a property and I thank my lucky stars I found Melissa Siegal to represent me! Melissa and her team were outstanding! I live out of state which could have made this entire process complicated and stressful. @properties held my hand from the beginning to the end. My tenant became abusive, threatening, stayed days after he was suppose to be out of the unit and then left the condo filthy and damaged. Melissa and her team rallied and helped me get the unit in perfect condition in a very short time. I can't believe how supportive they were! The condo looked amazing and once listed sold within 5 days! Her multi media campaign proved to be successful. Look no further if you are looking for an amazing team to work with. She and her team are the ultimate professionals, delightful to work with and get the job done!" "Melissa and her team were extremely helpful in selling our house. They paid extreme attention to detail all the way throughout the process. Selling a house is always stressful and there are lots of issues to attend to, but Melissa's team was always available and able to advise us and to answer questions." "Once again, Melissa and her team did a great job selling our condo. This is our 4th deal with her. We would highly recommend Melissa. Everything went smoothly. Thank you"
"Working with Melissa and her team was like a dream come true, we are new to Chicago and as such were not familiar with the buying process in the city. Melissa and her team made the process very easy, as the buyer's agent she proved to be be very knowledgeable about the River North area, she identified properties that met our criteria and exceed our expectations. Once we identified the condo we were going to purchase Melissa kicked it into another gear, she was with us through the entire negotiations and went above and beyond with comp research and price guidance. The process was very seamless with her by our side, we would not have gotten this house if she wasn't guiding us and working with the seller's agent." "I had a great experience with Melissa and her team. I had to sell my property after I had already relocated, which I thought would be difficult, but they made it a breeze. I was always kept in the loop about what was going on, Melissa always answered any questions I had promptly, and I felt that Melissa and everyone on her team was extremely knowledgeable. This was my first time selling a home, and I would absolutely trust Melissa to sell my next home, no question." "Melissa is very knowledgeable of the Chicago area and the way to market a property to sell. She and her team work with you through every aspect of the process. I would definitely recommend her to handle any property transaction to our family and friends." "Very knowledgeable-priced right to sell in only 6 days!" "excellent service; Melissa is very attuned to the market." "Melissa was amazing to work with every step of the way. She and her team really helped us to get our place ready to show and was able to sell our place within a week of listing it. We will absolutely use her for our next sale!" "I truly enjoyed working with Melissa. She was professional, knowledgeable about the various buildings, surrounding areas & market inventory. Melissa was also available at all hours of the day & evening which was extremely convenient in a competitive market. As a first time buyer, my only request would be to educate the buyer or seller on the overall process to manage expectations. In that regard, Melissa was helpful as she was in tuned with my level of motivation and encouraged me to stick through the process when it was a Seller's market. Happy to work with Melissa Siegal & would recommend her to family/friends!" "Melissa knows how to price, how to market and most importantly how to close. Highly recommended." "Melissa was a pleasure to work with. Prompt and well informed with the market. I highly recommend her services to any buyer. A++"
"Melissa is a true professional! Her excellent knowledge of the Chicago real estate market, combined with great attention to detail and the ability to understand her clients are just a few things that put her above the rest in this business. She listened very carefully to what our requirements were and was able to zero in on a handful of properties exactly matching our style and living needs. This allowed us not to waste time on useless appointments looking at properties unsuitable to us.After the we were able to close on our dream apartment, once again, Melissa went above and beyond what was asked of her, providing us with a number of local contractors to help us with some of the renovations. The entire process went very smoothly and we can't say enough good things about Melissa. It's no wonder she is one of the top real estate brokers in the city. Well deserved! If you want a hussle free transaction, give Melissa a call." "Melissa did a great job of taking the stress out of selling our condo. We were two weeks away from our wedding, and Melissa suggested showing our condo while we were away on our honeymoon, and it couldn't have been a better suggestion. Having the place shown while we were away eliminated the need to coordinate showing times with our schedules, and we were under contract shortly after our return. Melissa and her team are extremely attentive and responsive - even our real estate attorney was impressed with the level of responsiveness and customer service! Thanks Melissa and team!" "Melissa knows the market well and delivers on her promises. She was responsive and did everything possible to ensure we were comfortable throughout the process. We appreciated her candor during discussions - Melissa was always forthcoming regardless of the situation. We have already referred friends and neighbors to Melissa." "Melissa helped us through a rather difficult transaction. Her positive attitude and willingness to share even the bad news got us through it. I would definitely recommend working with Melissa and her team." "Melissa was wonderful to work with during our search for a condo downtown. She is very knowledgeable, conscientious and thorough. I wil km recommend her to all your friends." "Melissa was my realtor on the buyer-side. I would recommend her for her professionalism, market knowledge, and ability to get the deal done. The neighborhood in which I was looking to purchase was very competitive on the buyer-side and decisions had to be made quickly. Melissa listened to my needs, showed me properties that met my criteria, and ensured that I was adequately informed so that I could make a fair and reasonable offer. She and her @properties team were very responsive and represented my interests well from offer to closing." "Melissa and her team were great. She knows the market so well that she was able to price our condo competitively and sell it within a week." "About 4 years ago, Melissa helped me find my first condo in downtown Chicago, and was amazing!! When my husband and I called her to let her know we wanted to sell the condo and move to the suburbs, she was very excited for us and came over that same week to discuss a plan. Melissa is professional, knowledgeable, and very friendly. Throughout the years Melissa and I have stayed in touch and she truly listens to her client's wants and needs. Melissa moved quickly to take pictures of our place and get it on the market. Within three days, we had an offer and were under contract to sell. Melissa's drive and enthusiasm is suburb! We will miss her as our realtor for the city, but will always remain friends!" "I cannot say enough great things about working with Melissa. I was selling my current home and buying a new home, and worked with Melissa on both sides. She was extremely professional, responsive and has a great knowledge of the Chicago market. While it was a very stressful time, she was there to answer questions at any point and really helped out continuously to make sure we stayed on track with the tight closing timelines. Thank you for all of your help Melissa! I would highly recommend her to anyone looking to buy or sell a home." "We feel very lucky to have worked with Melissa for our first home buyer experience; she's clearly the best for a reason - she walked us through the process step by step, from search, to negotiation, to closing. Our home buying process was a bit unusual - we approached her on a Sunday about the possibility of purchasing a home next year, by Tuesday we decided not to renew our lease, and by Thursday we had put an offer down on a new development condo. But despite our last minute and rushed process, she handled everything like the professional that she is. Melissa listened to everything that we had to say with patience, always gave her honest opinion, but was never pushy. As first-time buyers on a tight deadline, we were anxious about everything and contacted Melissa constantly. No matter the day or the time of night, Melissa was responsive via text, call, email, etc. She even took the time to look through lighting fixtures as we brooded over which to purchase.Because our search process was so quick and unexpected, securing a loan took longer than we planned and our closing date was pushed back several times. Our mortgage lender failed to explain some of the details of the mortgage process, so we made mistakes that complicated our closing. For example - transferring funds between accounts at the same financial institution in order to pay earnest checks. Fortunately, Melissa tried to help in whatever way she could, and the attorneys that she recommended were great advocates. In the end, it all worked out and we're thrilled to have a home to call our own! Because our closing was delayed, Melissa out of the country on our actual closing day. But even while on vacation, she was still available via text and email, and she made sure that her assistant helped us with everything that we needed. As strange as it may sound, we wish the process to find the condo had taken longer so that we could have worked with Melissa longer!" "Without Melissa I don't think we would have found the perfect condo. As first time home buyers Melissa was extremely knowledgable and helpful thought out the entire process. I would recommended Melissa to anyone who is looking for a home or condo in the Chicago area." "My wife and I have known Melissa for almost two years now, because that is how long are home search took. She was with us through the acquisition of two different dogs, nearly one baby and two separate rentals while we searched through Chicago. With that in mind it is fair to say we know her fairly well professionally. In that time Melissa was constantly available to us in our seemingly never ending home search. She was essentially our personal driver and real estate adviser while we looked at likely 30 to 40 homes throughout River North, Lincoln Park, West Lake View, City Center, Roscoe Village, Bucktown/Wicker Park, and East Lake View. The entire time she was fantastic and honest with us about the homes we saw. She tried very hard to understand our preferences and give us honest opinions on homes we were seeing, which is difficult as we had very specific tastes. She was always available to us, even when she was out of the country. When our first purchase fell through due to inspection disagreements she was extremely supportive and even sent us an edible arrangement to keep our spirits up. When we finally found the home we loved she went to bat in the negotiation process and really helped us get the deal we wanted. If you are looking for a home or apartment in the downtown area, particularly in River North, we would highly recommend Melissa." "Melissa siegal's extensive knowledge of the Chicago real estate market is unbeatable. She made it a pleasure to find an apartment in a tough market and made me feel like I had someone that genuinely cared about my wants and needs." "Melissa was everything you could want in a broker! Bright, approachable, and not pushy. She just wanted us to be happy with our house. We love our new home!" "Melissa did a very nice job representing us - quality photos, accurate MLS listing, negotiating the final sales price. Thanks!" "Melissa got our place sold fast and the best part above list price!! She is great to work with and knows her stuff. We would highly recommend Melissa." "Melissa was great to work with and very accommodating to our hectic schedules, meeting us late after work or first thing Saturday morning to show us properties. When we finally found a place and got an offer accepted, she was very helpful, especially since this was our first time as home buyers. She was persistent in working with the seller's agent to get our questions answered and when the lender messed up, she stayed on top of them to correct the situation so that we could close on time. Melissa continues to be a valuable partner post-close and we would highly recommend her to friends and family." "It was great to work with Melissa. She kept me updated through the whole process. Highly recommended." "As a first time buyer, Melissa was fantastic in helping me understand the home buying process and, in so doing, finding my dream home!" "Melissa is the best! Always responsive and very professional. She understand the market and know how to find the best deal for both the buyer and seller. Both sides win when you work with Melissa." "Melissa did a great job and sold our place fast. Thanks again!" "Melissa is the best. Very efficient and conscientious." "Melissa is extremely smart and motivated. She made all the right suggestions at exactly the right times to close the deal on my property. She is a true professional and I couldn't be happier." "Great Job, Melissa. Thanks for your patience and perseverance in finding us the perfect home. You have a tough job that you do it exceptionally well." "Melissa was a fantastic realtor. She helped my wife and I navigate through the busy and stressful process of selling your house!" "We loved working with Melissa. She was great and we would absolutely use her again in the future. She made sure to arrange everything around our schedules." "Very professional with all my needs and concerns thoroughly covered. I would recommend Melissa and @Properties to anyone in need of a broker. Thanks Again !" "Melissa was a lot of fun to work with!" "Melissa was amazing! always available, always helpful. Her team that I worked with, including Franny and Andi, went the extra mile. A+ - Would definitely recommend Melissa, her team and @properties"
"Melissa Siegal is wonderful. She sold our house at the full asking price in days in an extremely professional and courteous manner while at the same time balancing a good personal relationship with us as a client. Our interests always came first and the guidance and advice was perfect. We recommend Melissa Siegal to anyone who is looking to sell or buy in the area." "Melissa was great. She was patient with us, as this was our first time buying a home. She walked us through every step and made sure we understood everything. She was there from the beginning all the way until the close." "Working with Melissa was a great experience. Not only is she incredibly knowledgeable about the real estate market in general and in Chicago, she did an amazing job creatively negotiating our buying price and getting everything we wanted in our dream home. It is very obvious that Melissa loves what she does and is passionate about her job. She looks out for her client's best interest, knows what questions to ask and what to advise her clients about, all while making this a pleasurable experience. I would absolutely recommend Melissa to anyone and hope you give her the opportunity to help you find your dream home like she did for us." "Melissa -Has always been a professional and great to deal with.This is our third deal with her. She listened to our desires found unit's to look at at . Gave us viable options knew the market found units within budget and desired geographic area. Is always aware of who the customer is...... Set up showings on our schedule. Appreciate her energy and exuberance about her work! Have recommended her to friends. A pleasure to do business with. Thanks Melissa- till next time." "From my initial meeting to my final closing, Melissa was nothing short of amazing! She was professional and at the same time made me feel extremely comfortable at each and every interaction. I highly recommend Melissa to anyone buying or selling and I will definitely use her when it comes to all my real estate transactions. Thank you, Melissa, for making this new journey one to always remember! Cheers!" "Melissa was great to work with. We are located out of state, which adds an additional layer of complexity to the process. Melissa went out of her way to make sure we found a property that met our guidelines and found it within our specified time-frame. The day of closing, we found out the seller had not had the carpets professionally cleaned as promised. Melissa immediately stepped in and arranged for those services to be performed the very next day, and at no cost to us. If you are looking for a professional, knowledgeable realtor, contact Melissa. You won't be disappointed!" "Melissa is super pleasant to work with. She always looks out for her clients and is attentive in their needs/concerns. This is the 4th real estate transaction I've worked with her on and never hesitate to recommend her!" "Ms. Melissa Siegal is a highly experienced, knowledgeable, and client oriented real estate professional. Melissas negotiating skills get the deal done in a short time. I had the pleasure of dealing with Melissa on several real estate transactions with satisfactory results." "Was very happy with how smooth everything went. Melissa took care of it all and reached out when needed." "Melissa did a great job and got my home sold quick! I was in a hurry to get out because I had a deadline and we got multiple offers within a few days. She knew her stuff and was willing to do what I wanted without being pushy. Great job"
"Melissa is a great negotiator who I would highly recommend to anyone looking for real estate in the Chicagoland area." "As first time buyers in River North, Melissa did an excellent job educating us on the market, showing us what our choices were, answering our many questions and keeping us informed on new properties coming on the market. She even provided us with a great rental recommendation that turned out to be an ideal interim solution." "Melissa was on point with everything when it came to our showings; and I am sure we were not easy with all our "needs and wants" in a condo. Melissa was always honest with us and never hesitated to go back to the drawing board when we weren't satisfied. She found us the perfect place for us and couldn't be happier. All around great job!" "Melissa understood the time frame of my move and was able to help me make sure to get it rented in time in a slower rental season. I would recommend her to anyone looking to rent or sell." "Kudos to Melissa for the fine job she did in representing me as a seller. In particular, her marketing techniques are superb. My listing appeared in numerous print and online publications and I received feedback from each source on a weekly and sometimes on a daily basis. My two bedroom condo sold in two and half weeks. Awesome!" "Melissa is a fantastic broker." "Melissa was a pleasure to work with! This was my first time purchasing property and she did a great job in helping me navigate the Chicago real estate market. I was all over the board when we first sat down to discuss; buying vs. renting, which part of town to be in, 1 bedroom or 2 bedroom etc.. She did a great job listening to my needs and helping me decide on what made the most sense for my budget and lifestyle. All of the units that were shown to me were terrific and she did a great job in helping me to understand the differences between each, as well as the different areas of town.The buying process was smooth and I am very pleased with my new Condo! Thanks Melissa!" "Melissa handled both the sale and purchase of my properties and did a fantastic job of faciliting for a number of different parties in a very complicated transaction. Her network of sellers/buyers runs deep, which paved the way for both of my transactions to go under contract in lightning speed!" "Melissa Siegal was absolutely the best. I really believe that her efforts are a big part of the reason we were able to finally close on our short sale purchase after 10 long months of waiting. We are so appreciative to her & are so grateful that she helped us get into our dream home. Melissa went above and beyond in every possible way. Thank you!!!" "Melissa was professional, friendly, and obviously knew the business well. We felt confident that she had our best interests in mind." "Melissa was fantastic. She is very calm and at the same time very knowledgable. She showed us what we wanted to see and we never felt that she was wasting our time." ""I truly wanted to thank you for the time,effort and patience you put forth into finding the perfect rental apartment for my daughter. I have worked with many experienced realtors in purchasing homes and your undivided attention was far beyond any of my expectations. Your commitment to your client is immeasurable! We will miss working with you!!!!!"" ""Melissa was a pleasure to work with. Her personable approach and expertise in the marketplace created an atmosphere of efficiency and effectiveness during all phases of our real estate transaction. She negotiated strategically and aggressively on my behalf resulting in a extraordiany deal. I would recommend Melissa to anyone looking for a honest, capable and reliable real estate agent. ""Our previous realtor didn't know this challenging market and didn't listen to our needs. You knew every building and got the job done immediately. Perfect!"" 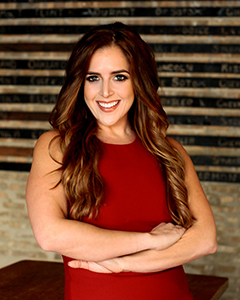 ""Melissa is not only very knowledgeable about about Chicago's real estate market (trends, opportunities, regulations, etc. ), but she is also patient, candid, and approachable." Satisfied Client: J.W. Robinson (2010)"
"Melissa Siegal has surpassed my expectaions as both my realtor and as a professional woman in Chicago. She was completely hands-on, patient, and dead set on finding me a place that accomodated my every need. Melissa is a force to be reckon with within the Chicago real estate market and will have no problem taking the market by storm as she continues to please and satisfy her clients." "This was my first time purchasing a home and working with Melissa Siegal made the experience better than I could have ever hoped for! Melissa is professional, patient and extremely hardworking. She always adjusted her schedule to fit mine, answered any questions I had, and truly listened to what I was looking for in a home. I would recommend Melissa to anyone looking for a home, she was amazing!" "Melissa is a true professional. Very attentive and knowledgable." "Melissa was terrific to work with. She was consistently responsive, flexible and easy to deal with. She knew the market we were interested in and researched it well. Her patience and determination was always appreciated! I would recommend her whole heartedly." "Working with Melissa is a breeze. I've now purchased 2 properties and rented 1 out with her and the transactions couldn't be any easier. Timely correspondence, world-class professionalism, and up-to-date market knowledge ensured that I was able to close on the properties I wanted both times against competing offers. There is no endless back and forth, Melissa takes the time to understand what you're looking for and then sets out to help you find - and get - what you want. She's my go-to agent in Chicago and will continue to be in the future!" "Melissa gets things done. She's on top of every detail in the selling and renting process and works in the best interest if her clients. I would gladly work with her anytime." "Melissa was fantastic and easy to work with!" "Melissa would never show me a unit she wouldn't live in herself. She was the best and got it right on the first showing. Easy and fun process!" "Melissa was very professional and knowledgable. She knows the River North area well and especially the Silver Tower building. She made sure everything went well and communicated with us every step of the way. I will gladly recommend her to anyone selling their property." "Melissa was terrific throughout the whole process and displayed excellent knowledge in her profession. The service provided was above and beyond my expectations." "She was great. Her opinions of the market and her negotiating style are what clinched the deal." "She's great to work with ... prompt in follow up and patient." "She is the only broker I ever want to work with. Wonderful, smart, timely, and professional."